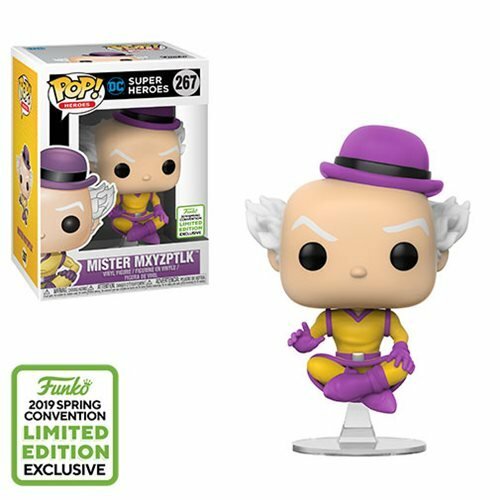 Funko / Entertainment Earth Convention Exclusive - Mister Mxyzptlk joins the Funko family! This mysteriously named trickster hails from the early pages of the Superman comic books. Have a bit of 5th dimension fun in your own home! This Mister Mxyzptlk Pop! Vinyl Figure measures approximately 3 3/4-inches tall. He comes packaged in a window display box. See the Mister Mxyzptlk Pop! Vinyl Figure - 2019 Convention Exclusive first in Funko's booth at Emerald City Comic Con, and order yours right here at Entertainment Earth!